Phone broadcasting is a modern communications technology that delivers voice messages to thousands of phones in a short period of time. Database Systems Corp. (DSC) is a leading provider of phone broadcasting systems and voice broadcast outsourcing services. A phone broadcast system is a computer phone system that manages multiple phone lists and voice recordings. This system schedules the delivery of these messages to communities and members of an organization. 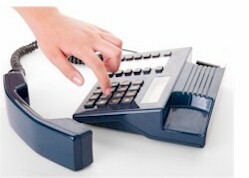 Phone messages can be transmitted and delivered to either answering machines or to live individuals. If DSC phone broadcast system detects a busy signal or detemines that the call was not answered, it can schedule the call for later delivery. Phone broadcast messages can be emergency alerts sent to a community or messages can be simple reminders sent to members of an organization. If needed, a different message can be left on an answering machine than what is played to an individual. Besides offering a complete line of phone broadcasting systems, DSC also provides a comprehensive phone broadcasting service at our secure data center. This service can provide immediate message broadcasting capability for a community or commercial enterprise. Contact DSC to learn more about our phone broadcasting solutions. "The United States Postal Service� is an independent establishment of the Executive Branch of the United States Government. It operates in a businesslike way. Today, the Postal Service� delivers hundreds of millions of messages each day to more than 141 million homes and businesses." The U.S. Post Offices in Columbus Ohio utilizes our phone broadcasting services to contact postal employees in the event of an emergency. Emergency phone messages are sent to employees notifying them of a facility shutdown or other emergency situation. Messages also are sent informing employees to contact their emergency center 800 number for specific information and instructions. Contact Us Today to learn more about our phone broadcasting services and systems.